Be whimsical and celebrate fun in your home with this charming three piece oversized wooden doorknob wall hook set. These knobs can be used as wall hooks in your kitchen or entryway to hold coats, scarves, or pet leashes. They can also be used in the bedroom or bathroom to hold extra accessories, jewelry, scarves, or robes. You can even use these decorative wall hooks as a coat rack and scarf hook for a playful statement in your modern office. Each set includes three large round doorknob hooks, each with a 3.25 inch diameter and a depth of 3.5 inches from the wall. 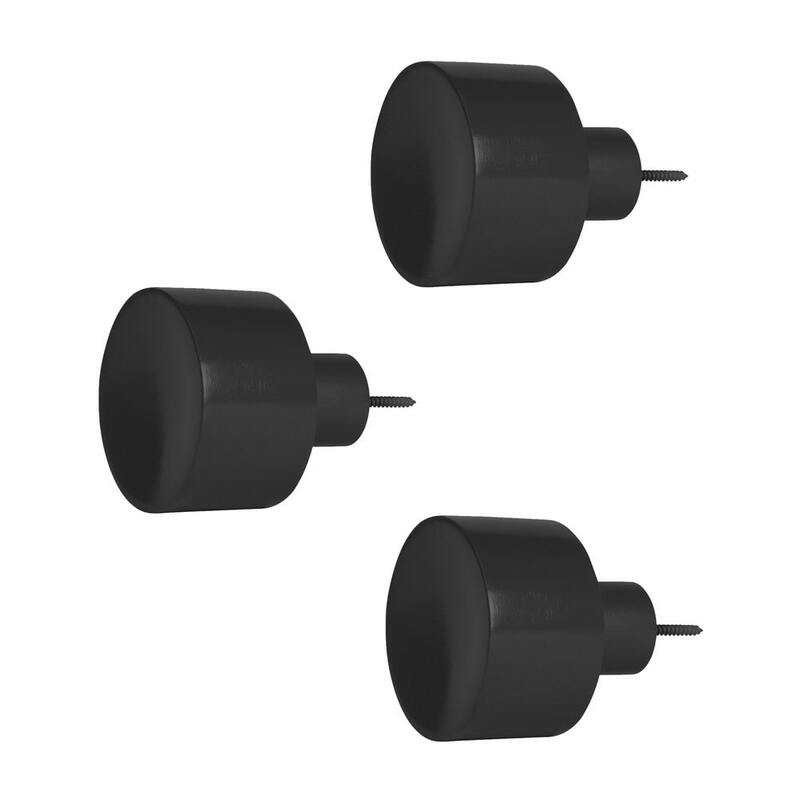 The knobs each have a 1.5 inch screw already attached for easy wall mounting- simply screw them in the wall and they are ready to use!